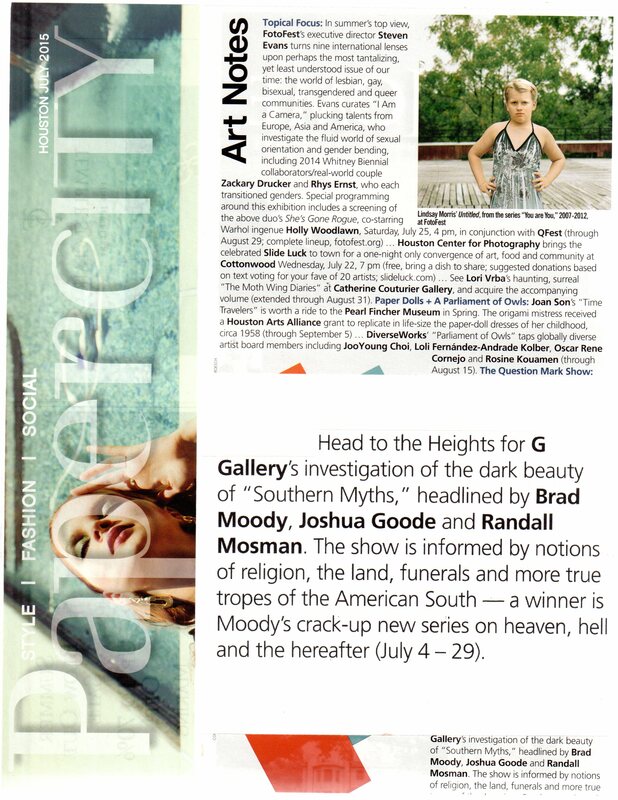 Hall-Barnett Gallery Oct. 11th show “Stop Crying” featured in the New Orleans Advocate! Find your photo! 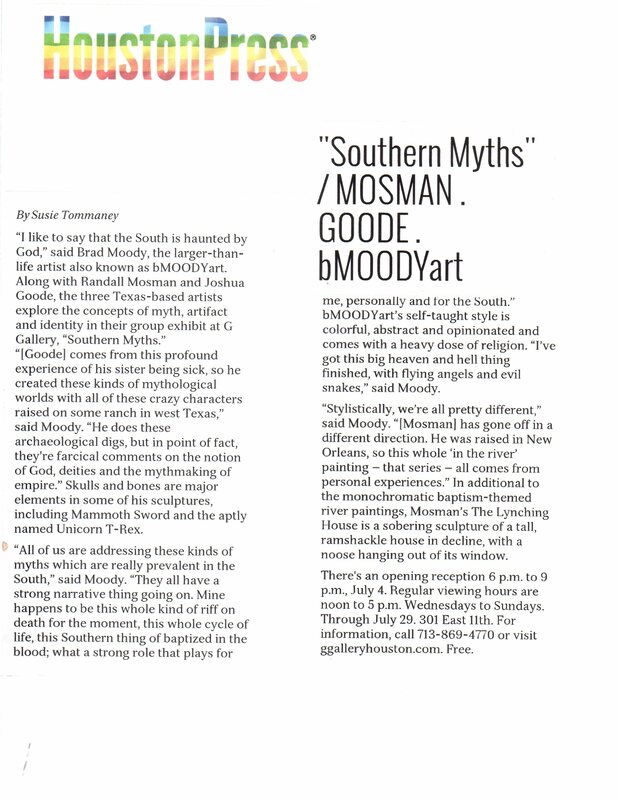 BMOODYART for WESTERN SEQUELS SHOW / ART FROM THE LONE STAR STATE “I draw and I paint based on personal experiences — a documentation or reportage of this life’s journey, rooted in time and place. The work is a form of story-telling — a narrative that helps to clarify and accept the world as it has been shown to me (thru the filtered eyes of a Southern boy). The hope is that somewhere within the story is a universality that someone can relate to. 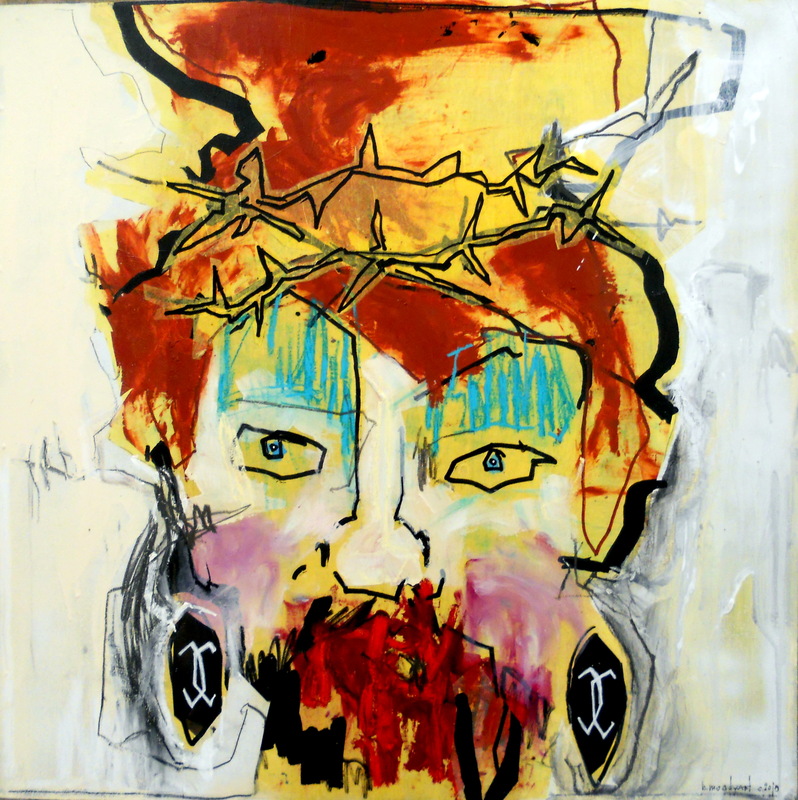 Subjects and images of gender, religion, race, alienation, matriarchal power, redemption and acceptance continually recur. The work makes a conscious effort to be accessible — reveling in common and everyday materials. House paint, magic markers, cardboard and found pieces of plywood are all utilized in an effort to give the work immediacy. The process is one of paint over collaged drawings over mounted wood or hardboard. The result is a rough and raw, unfinished look — charged with an energy and intensity of expression. Underlying themes of angst and acceptance are always present. Ultimately, the work is whatever you say it is. Situations and observations are presented and reported; judgments and conclusions are intentionally left open. An emphasis on the figure, a lightness of line or a choice of color will have a meaning and symbilism to me, but ultimately, the inherent conflict within the images and themes leave the resolution to the viewer.” Brad Moody was born in Frederick, Oklahoma in 1960. The genesis for this exhibition began when we first met the Greek Counsel to Houston, Alexia Theodoropoulou, at an exhibition held at Houston Baptist University. This 100-work multi-media exhibition is co-curated by Paris-based Dr. Vanessa Theodoropoulou of the Sorbonne, Jay Wehnert and myself. Jay Wehnert has selected a wonderful group of Outsider art to accompany the exhibition. 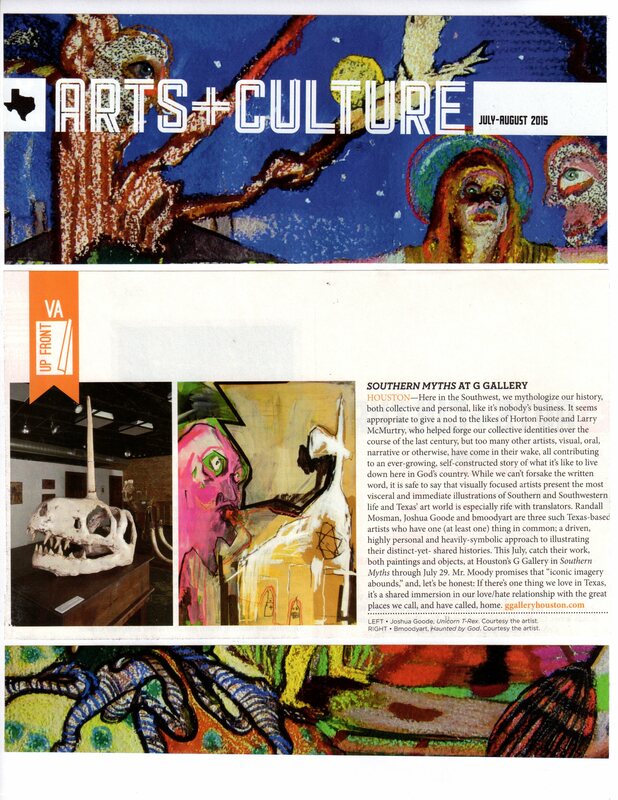 “Western Sequels, Art from the Lone Star” showcases but a small sample of contemporary and outsider art related to those artists that have connections to Texas. The art chosen by the curators is of a primary imagist style. The show opens November 7, 2012 and runs thru January 15, 2013.